The UFC is desperately protecting the contenders at 205. There, I said it. In another blatant attempt to protect the few contenders that champ Jon Jones hasn’t already destroyed, Daniel Cormier looks like he’ll be facing Rafael “Feijao” Cavalcante. The fight is expected to take place at UFC 175 in July…and that’s disappointing. This is just the latest in a string of bookings solely designed to convince us all that everyone who wins a fight at 205 is the next “guy” to defeat Jones. Don’t confuse what I’m saying for me hating on DC or any of the other top guys in the weight class. That’s not my point at all. Cormier has a tremendous track record—at heavyweight, which is fine. In fact, I think he deserves a shot at Jones based strictly on his HW success. But there’s a problem. He isn’t next in line. Normally that would mean he should take fight against another top contender, but that never happens at LHW does it? While Jones has dominated all the best competition out there, the division is so weak that the UFC has been afraid to pit contender vs. contender for fear of losing all legitimate challenges for Jones. That might seem harsh, but it’s true. Belfort? Fabricated. Sonnen? Fabricated. What about Gustafsson? Surely he earned his spot. Well…he did beat Shogun who was ranked in the top 10. But was Shogun really a top 10 guy? Since dropping the title, Rua had beat ONLY a washed up Forrest Griffin and a never-was in Brandon Vera. Yuck. 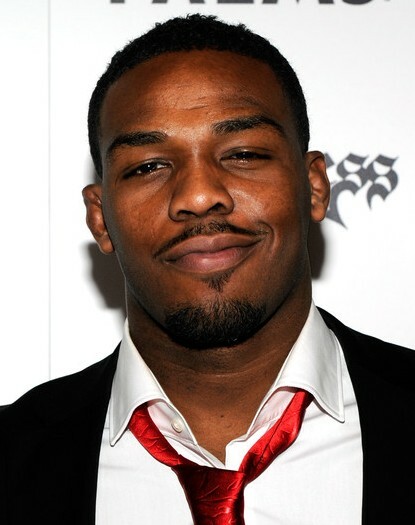 Jones’ next challenger is Glover Teixeira. Similarly, he’s never beaten a top contender. I guess a badly slumping Rampage Jackson is an elite fighter? Nope. And neither is steppingstone Ryan Bader. Glover was gift-wrapped a path to the title, while the UFC was afraid to have him square off against anyone near the top of the division. And now we’re back to Cormier. I have no doubt that if (when) he destroys Feijao, he’ll be handed a title shot if the timing works out. That means he will have faced no one in the top of the class either. I want to make it clear that Jones isn’t the problem. He’s manhandling every other fighter in the division to such a degree that the UFC is literally afraid they’ll run out of challengers for him. The division is that shallow. It was bogged down with so many former champions on the downside of the careers that no one bothered to build up the rest of the fighters. They should have just watched one episode of WWE Raw to learn how to build a future star. Plan ahead!! Imagine if the top half of the top 10 were actually allowed to fight each other and jockey for position like in every other weight class in the UFC. Cormier, Gustafsson, Teixeira, Davis, Evans, Rumble. Those are actually a handful of great fighters. Those are the guys who are going to finally turn the roster over into the next generation. Rogerio, Henderson, Shogun, Griffin and others can’t continue to be the cornerstone of what used to be the best division in the world. If Gustafsson can challenge Jones—which he can, we saw it—he should be able to beat Rashad or Phil Davis too. If Teixeira can supposedly beat Jones—who knows, maybe he can—shouldn’t he be able to beat Machida or even Mousasi? We know DC can beat a much bigger Josh Barnett and Bigfoot Silva, but suddenly they’re shaking in their boots to book him against anyone ranked higher than 13 or 14? Hey UFC…it’s time to stop babying the light heavyweight division. Turn them loose to see who’s best—and by “best” I mean top contender. You have a dominant champion, but that doesn’t mean you have to line up victims without being tested. One of these guys could beat Jones; I believe that. But I’ve hated how they’ve given title shots in this division for a long time.